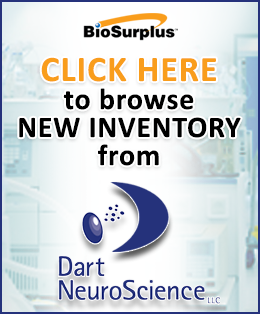 Thank you for ordering from BioSurplus, Inc. Your merchandise is shipped fully insured. Below are some simple guidelines to inspecting and receiving your package when it arrives. Please give a copy of these receiving instructions to anyone in your organization that will be signing for this shipment. Please read and follow these procedures before signing off on any shipping documents. Signing a transportation company’s delivery receipt, with no notice of damage, declares that you have received the merchandise in good condition. If you don’t note the damage on the bill of lading, the shipping company may not honor a damage claim after you have had time to do a closer inspection. Damage to the product. The product is obviously damaged, bent, and/or scratched. You can see it immediately and the product is not useful for your purposes. Refuse to accept the delivery. Document the damage on the bill of lading. Take many photographs of the damage with the packaging. Email them to shipping@nullbiosurplus.com. We will contact the carrier immediately to file a claim. Damage to the package. The box or wrapping appears to be torn, punctured, etc., but it’s not possible to tell if the product is damaged. Not all products that have damaged wrapping are actually damaged once unwrapped and inspected. Or the product may have a minor scratch that you can accept and as it doesn’t impact functionality. Accept the delivery. Sign the bill of lading as “package is damaged and may be subject to concealed damage claim.” Take photographs of the damage both before unwrapping the package and then of the equipment inside. Email the pictures to shipping@nullbiosurplus.com if you suspect equipment damage. Concealed damage. The box looks fine. No packaging or wrappings look disturbed. However, when opened, there is a dent, puncture, or some other damage to the contents. Open any packages you receive immediately to see if there is any concealed damage. Take photographs of the damage and email them to shipping@nullbiosurplus.com. 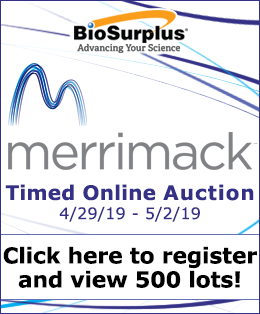 Please report any damages to BioSurplus within two calendar days from delivery date as freight companies require us to notify them within 2 days of delivery. Remember to save all cartons and packaging materials until the damage claim has been resolved. By following these simple guidelines it will help ensure a successful shipping process.